Ambience – Located in the outskirts of Mysore city amidst greenery and harmony a Private Unaided Institution with spiritual and cultural lineage under the name of Swami Vivekananda popularly known as S.V.E.I. is committed to learning and Indian values. The serene environment has space for every activity in student’s life. Classrooms- School has well lit and appropriately ventilated classroom with large activity space and educomp smart boards for the students to engage in active learning programmes. Laboratories- Well equipped Composite Science lab for Middle school and state of the art laboratory exclusively for Physics, Chemistry and Biology is inculcating the scientific temper and the quest to excel. Computer Lab- Our computer lab is equipped with 25 computers with internet facility for the students to learn and practice the ICT skills. 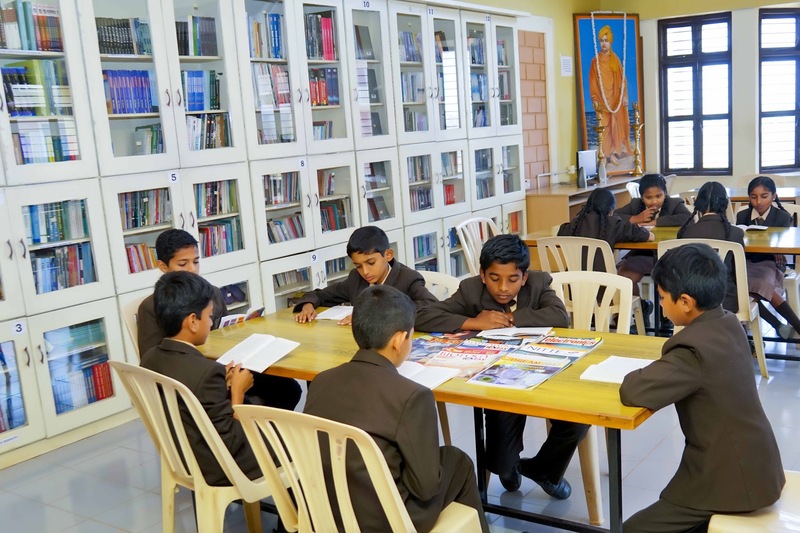 Library- With the primary objective of honing the reading skills of the students and developing in them interest for reading, the school has a well stacked library.